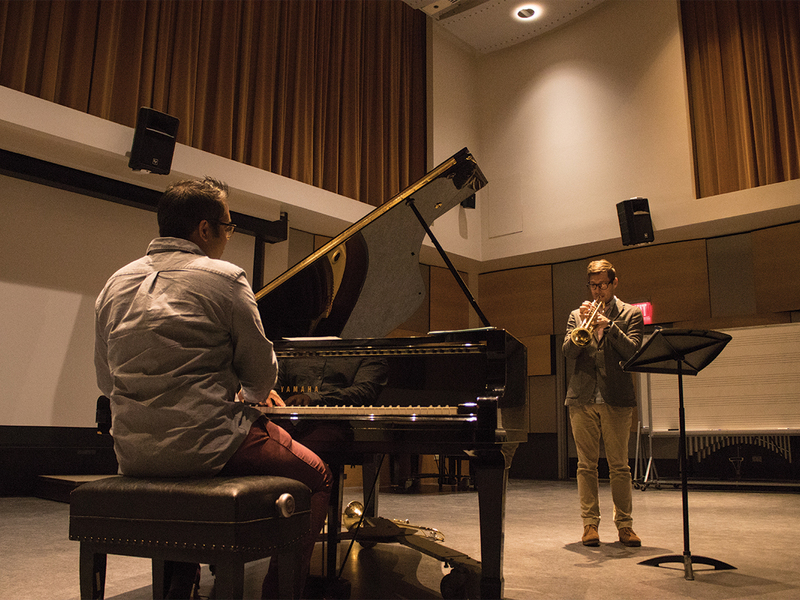 Riverside’s capricious weather made for a dreary morning on Wednesday, May 10, but was nevertheless lightened up by a jazz performance at Arts 157 featuring trombonist Kevin Sliwoski and pianist Dhiren Panikker, a Ph.D student and Ph.D candidate in ethnomusicology, respectively. The duo put on a fascinating display of jazz to an audience of about twenty people, all intrigued by the jazz duo format. As part of the Department of Music’s Wednesday@Noon series, Sliwoski and Panikker continued the exploration of such a format, following their first performance in the series about a year ago. Their performances are based around the idea that, without a rhythm section, the usual jazz format becomes more open — more unrestricted, therefore causing the music to have a more improvisational aspect to it. 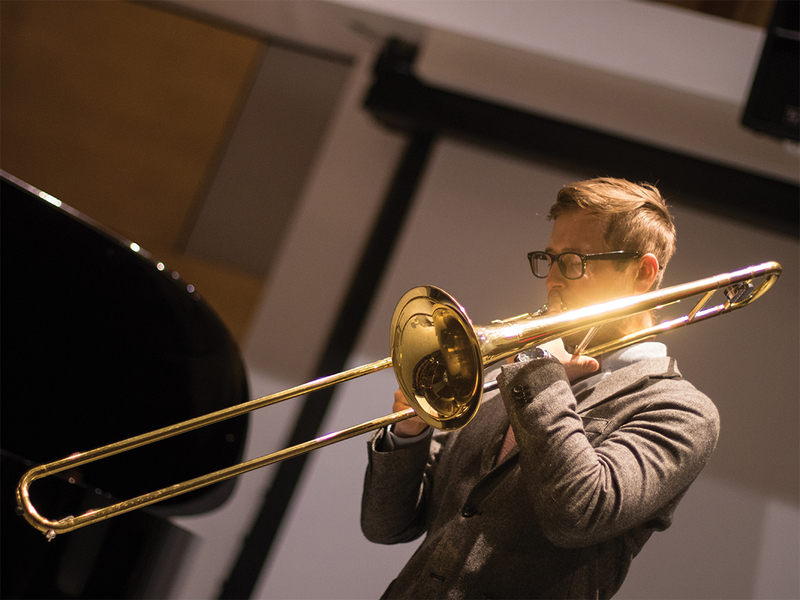 With only trombone and piano at their grasp, Sliwoski and Panikker have to rely on one another, an aspect that was evident to the audience during the performance as both performers often looked to one another for cues. If there was any musical piece that most perfectly captured the improvisational aspect both performers achieved, it was Ornette Coleman’s “Round Trip”, the first musical piece of the day. There’s a stark difference comparing Coleman’s original 1968 tune to Sliwoski and Panikker’s rendition. Without the percussion or bass that is found within the original piece, the piece sounds erratic and unhinged — making way for Sliwoski and Panikker to improvise. Sliwoski, a Boston native, had only just begun playing with Panniker, who hails from Connecticut. 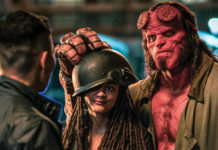 The duo met in the fall of 2015 when Sliwoski arrived to California. Panniker had been living in southern California for a number of years when they met. The performance was also home to a medley from renowned jazz pianist and composer Thelonious Monk with the pieces, “Introspection,” “Raise Four” and “Reflections.” Monk’s tunes were interesting for the fact that the songs are heavily based around dissonances in its musical notes, which made for a common theme in their performance. Aside from pieces by other composers, the duo made sure they had time to perform original compositions. The second piece of the day was an original by Panniker titled “Hymn for Keith.” It proved to be soothing and relaxing, with Panniker beautifully playing the piano in the piece’s introduction followed by Sliwoski’s graceful trombone coming in to add a well-deserved depth and aura to the song. It felt like I was transported to an underground jazz club, with both performers seducing their audience with their fluid collection of notes. On the other hand, Sliwoski had the opportunity to perform his own composition as well, titled “Brisk Free.” As the two were thinking of playing the piece, Panniker pondered from the comfort of his seat. “Do we have time to play your piece, Kevin?” asked Panniker. Sliwoski looked at his watch and shrugged, and both commenced the piece. The piece primarily consisted of Sliwoski on trombone with Panniker complimenting his colleague’s playing with a bright, piano melody. The conclusion of the song found Sliwoski elegantly playing a trombone solo. When asked what songs from their performance they enjoyed the most, Sliwoski and Panniker couldn’t help but compliment each other on their original pieces. “I actually like Dhiren’s tune a lot, I like playing that” said Sliwoski. “And I liked his tune, ‘Brisk Free’” replied Panniker, much to the amusement of both. It was evident from the conversations I had with both, and their playful banter during their performance that Sliwoski and Panniker have a great amount of respect for each other and for the art of jazz music. Their mutual appreciation for it made for a pleasant performance that day at the Musical Rehearsal Hall, and no doubt brightened up what seemed to be a gloomy morning.